[fancy_header variation=”primary_red”]The White Wraith – Lore[/fancy_header] [dropcap4 variation=”primary_red”]T[/dropcap4]he White Wraith was once a queen of the north, a fair skinned and beautiful woman. The Frostfell is a domain of perpetual ice and snow, and one she reigned over with an icy grip for ages. In life she was proud and boisterous, sending men to their deaths by the thousands and waging wars if only for the sake of vanity and power (moderate History DC). Known for wanton bloodshed, forced tribute and imprisonment, her calloused heart did have but one weakness – temptation. Such temptation lead her down a path of necromancy and other dark deeds. Making a pact with death itself she sought and achieved, perpetual unlife in the form of a wraith guised as an angel (hard History DC). Rumor has it she manifests herself in the darkest of corners across the planes, if only to lure the unwary into a trap sown of frozen treachery and an icy grave. However those that display bloodshed in her name, if only to appease her still insatiable desire for obedience – are said to be granted safe passage and a chilling whisper of malevolently tinged guidance. The doorway to this chamber sticks, if only briefly, to the thick sheet of ice beneath it. Crisp frigid air washes over you as you enter, the luminous site of glistening ice, white flame and angelic radiance momentarily buffets your vision. 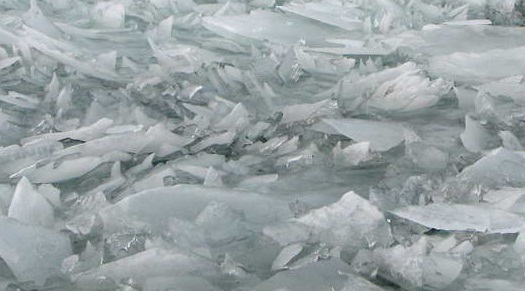 The floor is made of a relatively thick sheet of ice (4″-6″), the walls are hewn stone and dusted with frost. The peak of this dome shaped chamber is 20′ high and roughly 45′ in diameter. A single door with a heavy lock on it lies to the north. A stout stone dais lies in the center of the room, there is an inscription carved in it in a common language. An angelical looking woman lies resting upon the dais. She wears a silver necklace that bears a small mithril key. Her body emanates light. A small wooden chest banded in mithril sits at the base of the dais facing eastward. The room is lit by torches that burn bright white. Upon entering, the door behind the dungeoneers slides shut and becomes magically sealed. It cannot be dispelled as normal. [fancy_header variation=”primary_red”]Objective[/fancy_header]The White Wraith has manifested herself within the walls of whatever dungeon you see fit and warded her chambers with very powerful magic. Her desire for blood is still unsated even in the afterlife and she delights in seeing those harm themselves in her name. Should the dungeoneers heed her desires and smatter her chamber with their crimson she will grant them easy passage and a twisted hint of doublespeak. Should they not, her lust for carnage will surely present a serious challenge to those who’ve upset her. 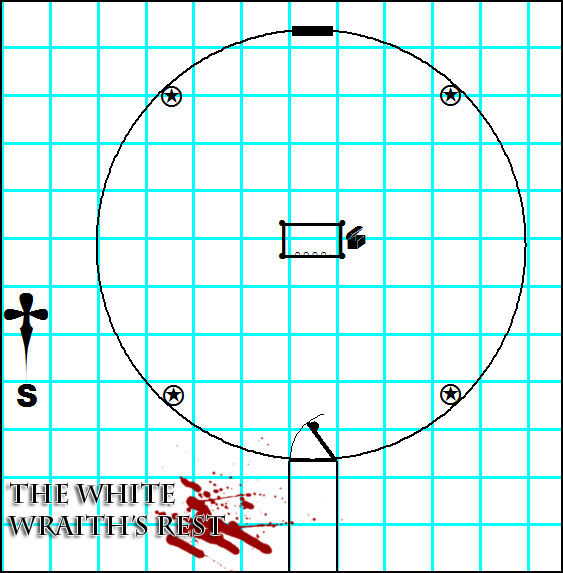 The dungeoneers must snuff out the magical torches with their own blood to appease the wraith or otherwise face her wrath [see: Encounter Elements below ]. The blood of something else, so long as it is warm and there is enough to squelch the flames may also work – tricking the wraith into believing they are using their own blood (done via roleplay / skill challenge). If the torches are doused, the dungeoneers tribute is paid. An unnatural darkness washes over the room, snuffing any light source the dungeoneers may be wielding (magical or non) and the White Wraith will rise from her dais and float slowly toward the party, lighting the room as she traverses it. Her liquid silk voice will reveal but one secret or hint to the dungeoneers and release the magical wards on the doors to her chamber. She will linger for two minutes, then a disembodied laugh will ring out as her form bursts into a snowy mist and a perfectly spherical and dimly illuminated orb of permanent ice falls to the ground. [fancy_header variation=”primary_red”]Encounter Elements[/fancy_header]This chamber contains 6 possible encounter elements: The wraith, the riddle, magical torches, chillborn zombies and the young undead Krakens that feed upon them trapped beneath the icy floor. 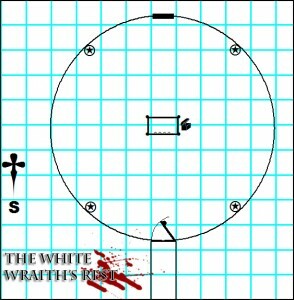 The Wraith: The beautiful woman that lay on the tomb is actually a wraith (hard insight DC). She lays resting in an undead slumber, daring those who enter to steal the key from her neck. If the key is disturbed while the torches still burn or if a rouse put on by the dungeoneers is detected (if so, her crit range increases to 18-20), she transforms into full wraith form and attacks. Calling forth the undead below the ice with a wicked gesture, Chillborn Zombies and Kraken begin to burst through the icy floor. The riddle should hopefully hint towards her attitude towards war and vengeance, providing no quarter for her enemies in life – simultaneously hinting at the 4 torches within the room. Imbibing the life force is relatively obvious that she seeks bloodshed, as she did in life and still does in undeath. The final line should hint at dungeoneers brave enough to gamble with their lives to appease her. Torches: There are 4 torches in this room placed squarely amongst the curves of the circular room. The magical fire that emanates from them produces no heat and are only able to be doused approximately one pint of warm blood. They are unable to be dispelled by any normal means. Those cutting themselves to douse flames should lose 1d4 + 1 healing surges (or a significant deduction to HP, CON or FORT defense). Chillborn: In a frozen and undead state, the Chillborn do not attack unless bidden by the White Wraith. 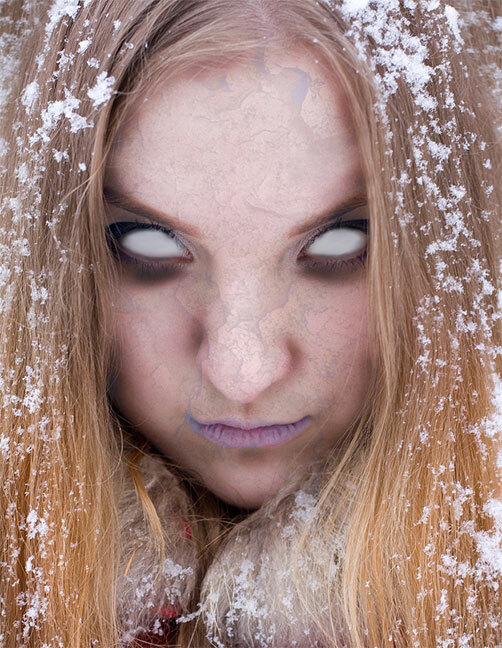 2d6 per tier Chillborn Zombies break through the ice at a rate of 4 per round. They ignore rough terrain and have an additional 5 cold resistance, they also deal cold damage along with their other damage types. They will attempt to grab and bite their victims, proceeding to pull them into the icy depths below. Young Undead Krakens: Starved for blood, a certain ferocity stirs within these undead atrocities of the sea. The water below contains d4+1 undead Krakens. If blood spills into the water below the broken icy floor, the Krakens immediately sense it and burst upward attempting to attack. They charge and flank the first dungeoneer that becomes wholly or partially submerged in the water, attempting to pull them to the bottom. Otherwise they hurdle themselves toward the ice attempting to knock the dungeoneers off balance. Icy Floor & Water Below: The ice is thick and slightly translucent, Dungeoneers may detect that there is water beneath it’s surface with a perception check (moderate DC). The floor is not slippery and is well coated in a thick later of snowy frost. Upon the Wraith calling her denizens to the surface the entirety of the floor in this chamber becomes rough terrain as it starts to crack and requires an athletics or acrobatics check (easy DC) when moving more than 1 square to avoid slipping into the icy depths below.Those submerged at least partially into the icy water below take an ongoing 5 frost damage per tier. The water is roughly 40′ deep and the walls of the chamber below are made of solid stone. If no dungeoneer is holding the small chest, this means the broken and unstable floor offers many opportunities to fall through the ice in the turmoil of battle – roll a saving throw once per round on the last initiative count to see if the chest starts to plunge beneath. Key: The key is made of mithril and is decorated in a filigree of icicle shapes. It is on the necklace of the wraith and opens the small chest on the floor near the dais. If the PC’s warrant safe passage from the wraith, she willingly gives her key to the dungeoneers if asked. Chest: This small chest is roughly 1.5 feet wide and a foot tall, it can only be opened with the mithril key that is wore around the White Wraith’s neck. The chest contains the key to the door to the north, as well as one other chamber within the dungeon (DM discretion) – however it disintegrates after one use. It also contains 3d6 platinum pieces, a magic item (DM’s choice) that lay resting on a small silver tasseled white velvet pillow and a small pouch of residuum.